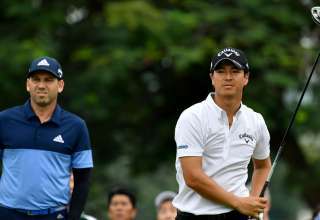 Japan’s Yoshinori Fujimoto vaulted to top spot at the halfway mark of the SMBC Singapore Open after completing a second round 67 on Saturday morning. 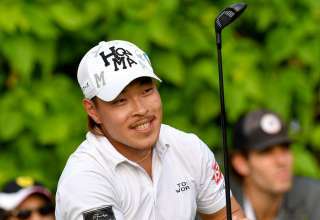 Fujimoto, a two-time winner on the Japan Tour who tied 27th at last year’s tournament, shot three birdies and a bogey in the 11 holes he played on Saturday morning to post an eight under 134 and take a one-shot lead at Sentosa Golf Club. 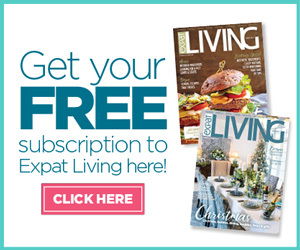 “I am a bit surprised to be top of the leaderboard – to be eight under is more than I expected,” said Fujimoto, who finished runner up in the Japan PGA Championship last year. 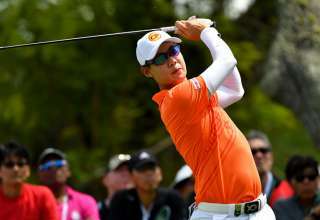 The hugely-popular Ryo Ishikawa and world number 40 Matthew Fitzpatrick shone in the early morning sunshine to join overnight leaders Paul Casey and Poom Saksansin in second spot on seven under 135. Japan’s Ishikawa, the prince of Japanese golf, made three birdies on the back nine on Saturday to shoot a 66 while Fitzpatrick continued to play bogey-free golf to card a 67. “It was good. Today I gave myself chances but didn’t take them, definitely could have been better,” said the 24 year old Fitzpatrick, a five time winner on the European Tour. “No bogeys (on my card), I think that’s a new record for me 36 holes (without a bogey) which is always nice. It’s a great way to start the season and making it to Saturday without any bogeys so far. Casey and Poom set the clubhouse target on Friday after weather disruptions resulted in half the field having to finish off their second rounds on Saturday morning. 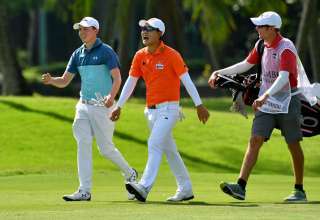 Thailand’s Jazz Janewattananond, Malaysia’s Nicholas Fung and Doyeob Mun of Korea thrived in the early morning conditions to tie Japan’s Shotaro Wada and Taihei Sato, who completed their rounds on Friday, on six under for the tournament. The quintet are tied for sixth spot. Jazz, a two-time winner on the Asian Tour, birdied the last three holes for a 68 while Fung matched his score thanks to birdies on the 17th and 18th. The less heralded Mun, who made the field after finishing 59th on the Asian Tour moneylist last season, had an albatross two and an eagle three during his round of 65. Starting at the 10th, he had an eagle at the par-five 18th and then holed his approach for a two at the par-five, fourth. “I had a driver off the tee (at the fourth) but it went a little left. I had about 190 metres to the pin from there and hit a five-iron. I didn’t see the ball go in actually but I know it was a good shot,” said Mun, who also birdied his last three holes in an astonishing round. Defending champion Sergio Garcia of Spain also made ground on Saturday morning with birdies on the 16th and 18th seeing him card a 68 for a five under total. He joined Friday finishers Davis Love III of the United States, Thailand’s Chapchai Nirat, India’s S Chikkarangappa, last year’s joint runner up Shaun Norris of South Africa, Korean duo Dongkyu Jang and Yikeun Chang, Australia’s Travis Smyth, who carded a 69 on Saturday, and Americans Kim Sihwan and Han Seungsu (68) in joint 11th, three shots behind the leader. 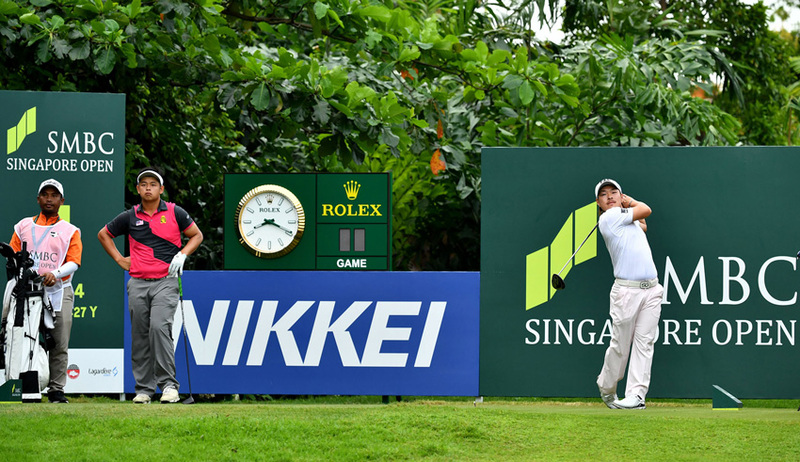 The US$1 million SMBC Singapore Open is the season-opening event on the Asian and Japan Tours.